Okay I’m going to have to face facts (no pun intended!) that at 37 years of age, 3 kids, long working hours and the countless nights of less than 6 hours sleep, I am starting to really look my age. Despite now working out 5 times a week, eating cleanly & nutriciously and drinking plenty of water, my skin is starting to sag on my face. Gravity is taking it’s toll and it was starting to make me feel anxious. Everyone wants to look and feel good, but when you are an ageing blogger and vlogger in the beauty world, it feels like an essential prerequisite! 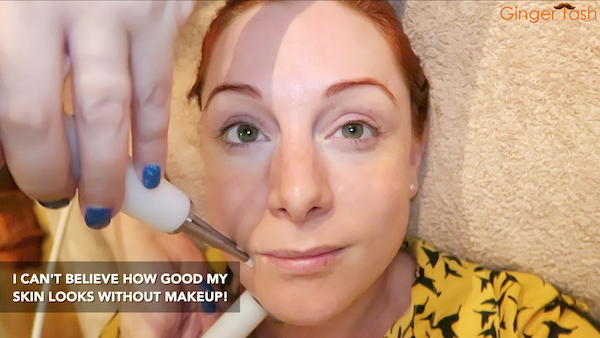 I had a number of awards and events coming up in July & August, and despite upping the ante on my skincare regime to include Azelaic Acids, AHA’s, vitamin C and every type of clay known to mankind, my brows weren’t lifting, and my newly-arrived jowls were tormenting me every time I caught a glimpse in the mirror! I decided to do my own research and liked what I was seeing about CACI facials. 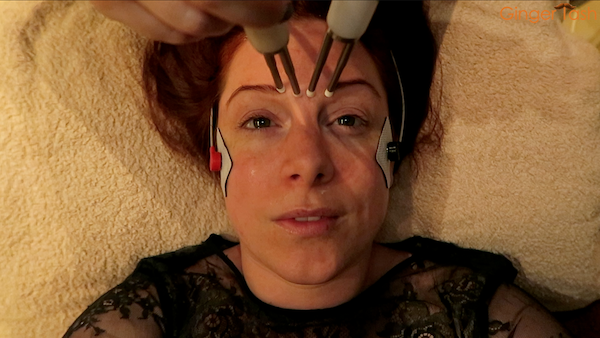 Instead of just focussing on the skin and it’s various layers like many facials, CACI really targets the muscles that hold the structure of your face. That’s what I needed!! My PT Jack Sullivan is helping me work out the muscles in my body but I needed to work out the muscles in my face! I headed to the CACI website to find local authorised CACI salons near me, and as I browsed the list of names one jumped out at me, The Scented Garden Retreat – Chester. I immediately recognised the salon as being one that one of the “school mums” owns, so where better place to start? I spoke to Laura (the owner) and ideally to begin with it’s best to start with a course of 10 treatments in close succession, followed by roughly monthly maintenance treatments to maintain the effect. As I’d left it a bit late for my first big event, we’d only be able to fit in 7 treatments, but that would be enough to notice a real anti ageing difference, and blimey was there a difference! If you haven’t heard of CACI before, it’s a company that offers full body, non surgical treatments, designed to target lines & wrinkles, eye bags, acne, cellulite, skin tone, stretch marks, problem neck appearance, body tone and ageing hands. This non evasive system uses Microcurrent to target the muscles and imitate the body’s own natural bioelectrical field. With the facial that I received – their most popular “CACI Non Surgical Facial”, this microcurrent is applied by placing different style devices against the skin through which a current is felt. 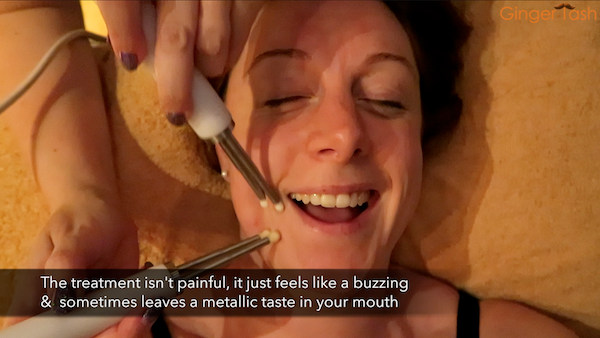 It’s not painful, it’s actually very relaxing, and all that I noticed is that when working on the area around the mouth it can leave a mild metallic taste in the mouth which leaves as soon as the devices move to another area of your face. How Do CACI Facials Work? For me, my therapist Laura Heywood from The Scented Garden Retreat in Chester, carried out an initial consultation to fact-find my problem areas or concerns. Once fully informed, Laura was able to tailor each treatment directly to the areas of most concern, although the treatment does work on the whole face and jaw. For me, I requested my brows and the area between my eyebrows where I have frown lines, my lips and my jowls/jawline. You can see through the treatments how my skin was getting firmer, more glowing and more youthful with a decrease in lines, puffiness and sagging. On my penultimate/6th treatment, Laura included a CACI Ultrasonic Peel. 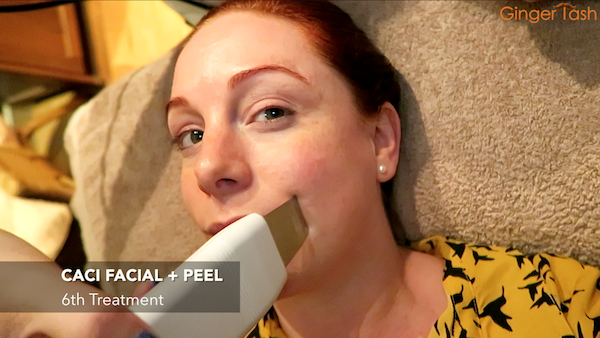 During the peel you can actually HEAR it working and can see in my vlog above! 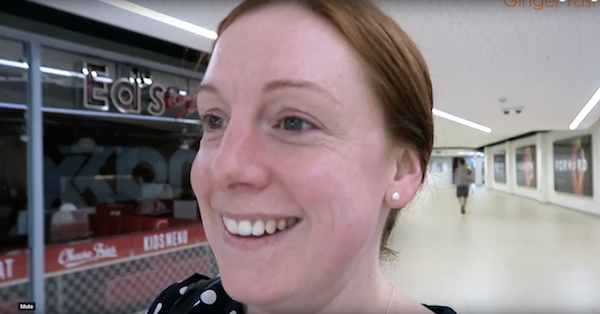 My complexion was a little more red for a few hours afterwards, but not enough that I felt too self conscious to do a bit of shopping. It’s far gentler and less aggressive than traditional microdermabrasion methods, which I have previously had a bad experience with! Ultrasonic peeling involves using a hand piece that vibrates at 27,000 vibrations per second on the skin. These vibrations push skin impurities to the surface and dislodge dead skin cells, which mean that the vibrating hand piece can then be used to deep clean and exfoliate the layers of your skin. On my final treatment, Laura included a special CACI Lip Treatment which uses their award winning Amino Lift Peptide Complex with the wrinkle comb and red LED light therapy. I’m not going to lie, this freaked me out at first, hence the laughter above. Once you realise there’s no moving parts to the comb, then it’s fine! 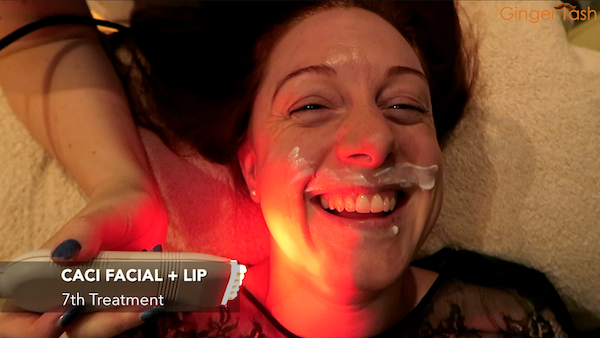 However, the end result was AMAZING and my lips looked like they’d had fillers but more natural. In fact, my lips just looked like they did in my teens, but better! After my final/7th facial. No editing, No filters, No makeup!!! 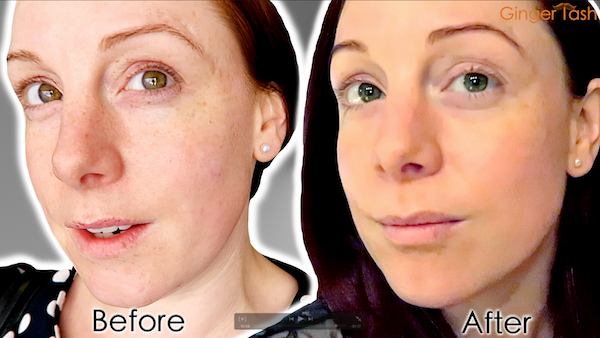 I couldn’t believe the difference in my face from the first to the 7th treatment (the picture above is from my 6th treatment, no filters, editing or alterations bar colour grading). My cheeks and brows had significantly lifted. The constant frown lines between my eyes and forehead lines were almost completely gone! My cheeks had risen back to where they were when I was younger, giving me a defined cheek bone and reduces the look of a saggy puffy face and my jowls were basically non-existent. 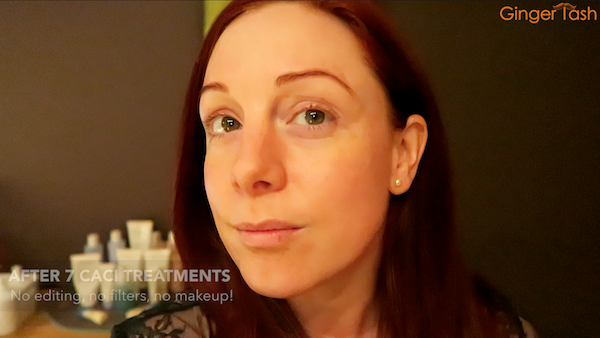 My skin and face felt increasingly firmer after each treatment, and now I’m onto monthly maintenance (I’ve just had my first last week) the results are still lasting. Previous articleBroughton Goes Wild!! Fabulous Free Kids Summer Holiday Activities! Next articleBest Beauty Vlogger is….Natasha Lee! Best Beauty Vlogger is….Natasha Lee! Broughton Goes Wild!! Fabulous Free Kids Summer Holiday Activities!